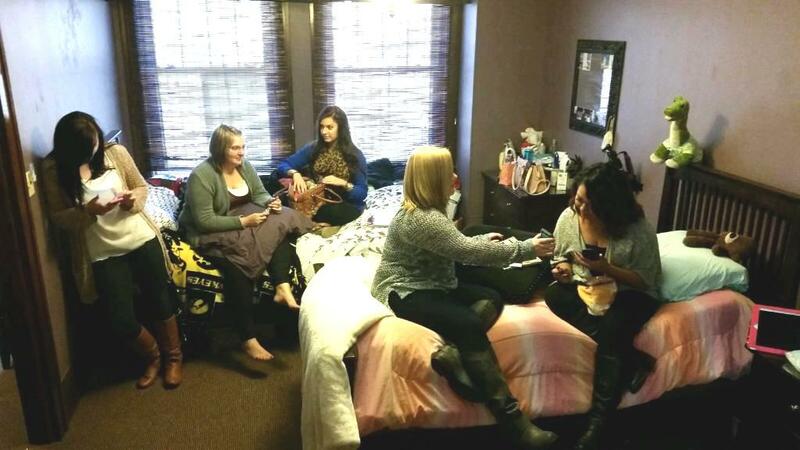 A look at our Beauty School Dorms. 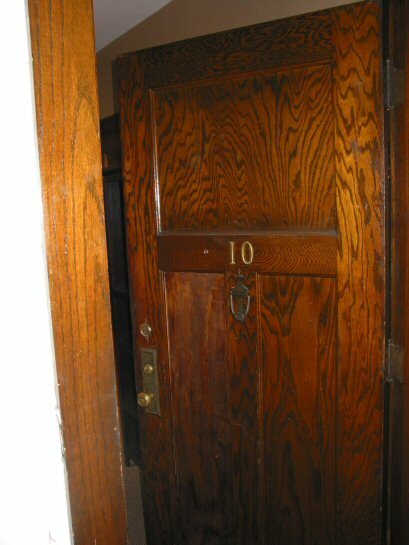 The front entrance into a dorm room. 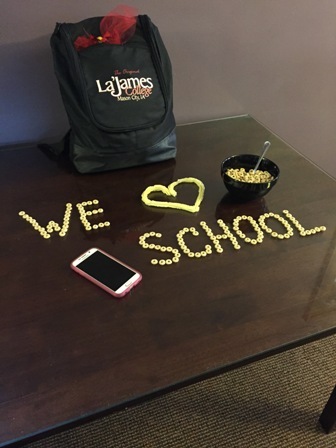 We are offering you a chance to see our beauty school dorms and living facility here at the original “LaJames College” located here in Mason City. I wish pictures could do them justice. If you like the way they look here you are going to love them in person. This is the main living area for our dorms / student housing. Dining table to the right, front door to the back left, full size refrigerator to the back right. 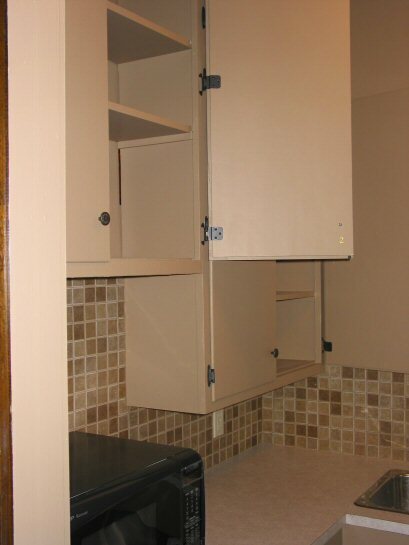 You will also notice a shelving unit to the mid left. This is for your TV and video entertainment area. 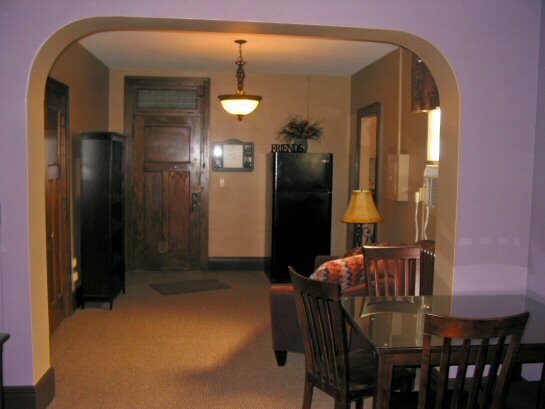 The couch is to the mid right and the kitchen is the back right door in this photo. 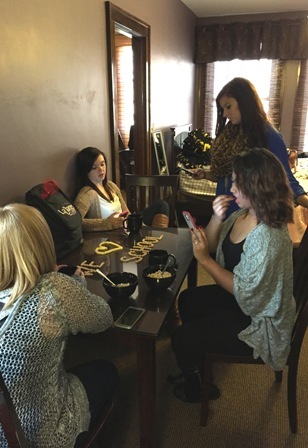 This photo was taken just inside of the front door of a dorm unit. 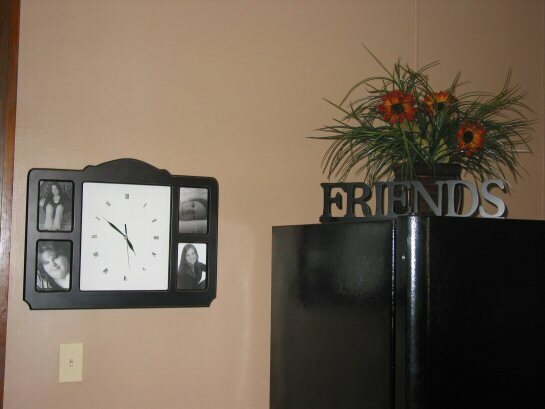 We normally (on incoming students) put a photo of you and your roommates together around the clock. It’s one of those personal touches we love to do for our students. 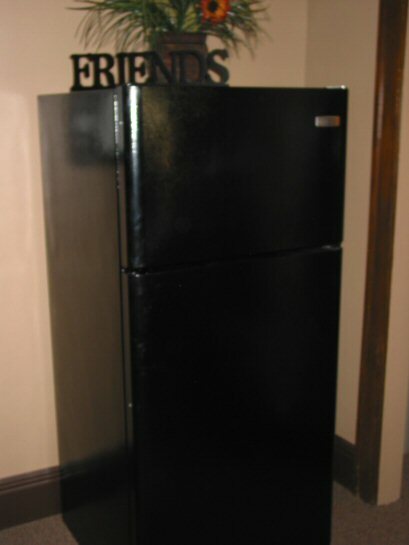 A full refrigerator is supplied for each dorm room. It is a lower refrigerator and an upper freezer. 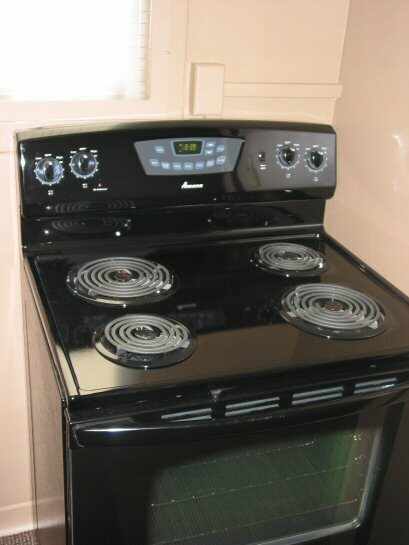 Left is pictured the stove that is included in each dorm unit. Of course there are many restaurants in the area but cooking your own meals is not only healthier but more often than not, much more economical. 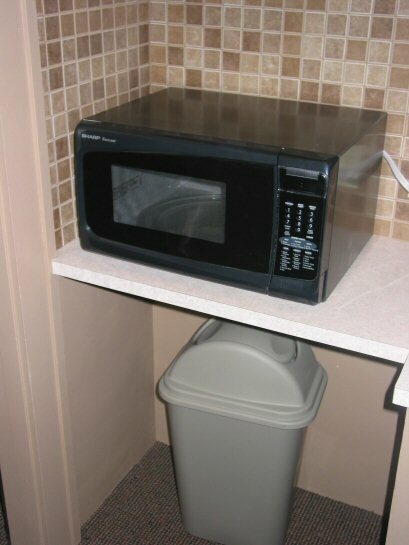 Of course if cooking on a stove is not your cup of tea, we have these microwaves available in each dorm for you to nuke your food to death. Of course you will need to have storage space for your food, so we took the cupboards and designated areas for each of the dormitory residents. This makes your area space the same as your roommates. The shower to the left side of this dorm photo is a full shower – tub area for each student to use at their convenience. 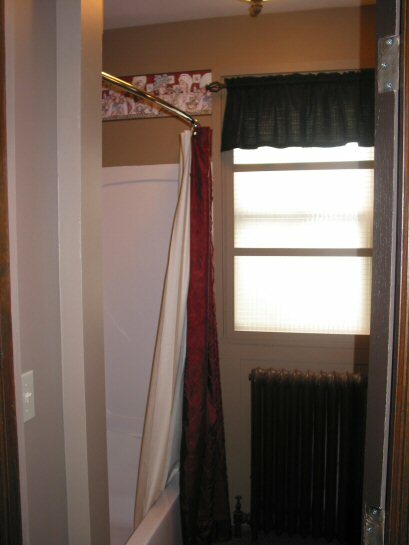 Some like to take baths and some like the convenience of a shower. 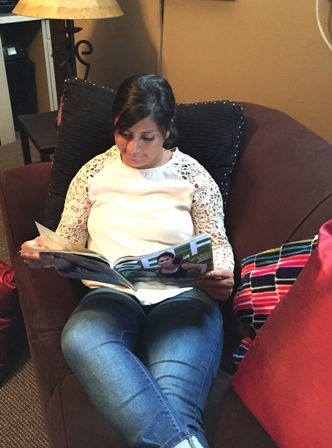 A student relaxing on the couch after a day at school. 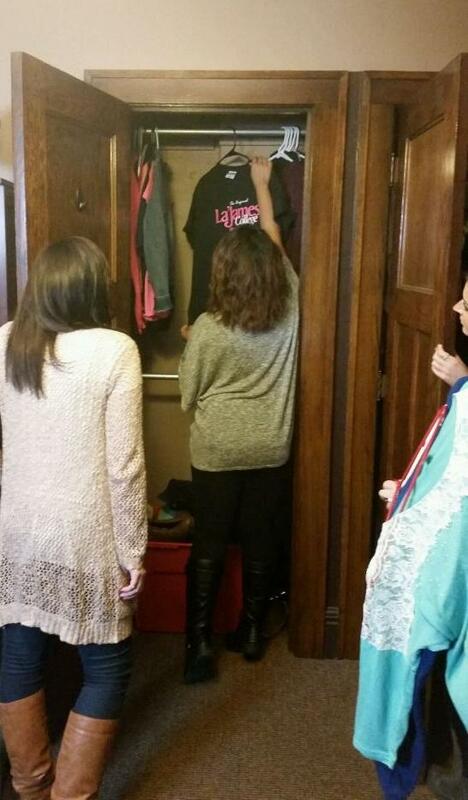 It looks like they left their front door open so other students can come over for a visit. Someone has been playing with their food. We love our student body too. 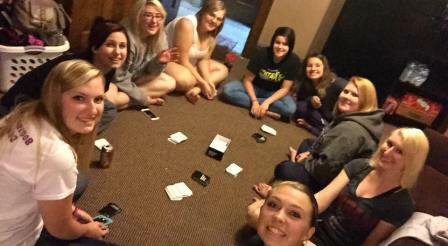 Dorm students getting together to watch a little TV and play some cards. At least now we know who was playing with their food. Breakfast time and getting ready for a day at the college. Wireless Internet is available for the students but is not included in the cost of the dorms. It looks like a student is checking on her friends and family. Everyone loves to do dishes right? Well it is necessary if you are going to live with other people. So dishes are a necessary. 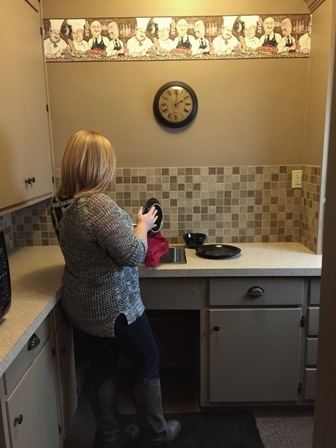 I can say that everybody loves a clean kitchen, so a little effort goes a long way for that. We all love to relax. 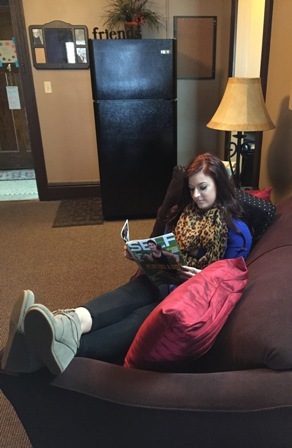 The couch is just one of the many items furnished with a dorm room. Beds, dressers, TV stand, lamps, tables, stove, refrigerator, etc. Not to mention your heat, air, utilities garbage and water are included in the costs. 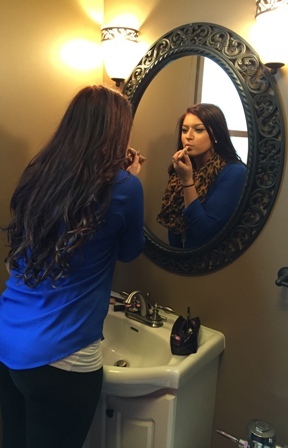 Getting ready for school or a night out. 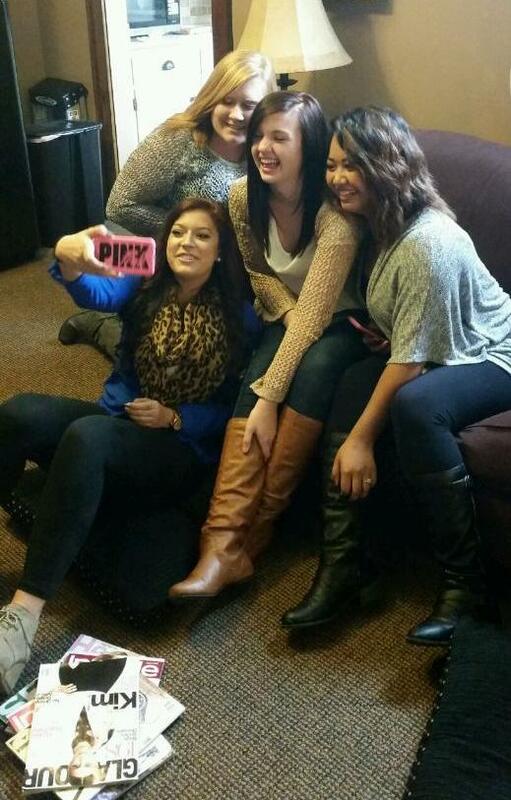 Roommates taking a selfie in their living room. Evelyn keeping the dorm looking great. 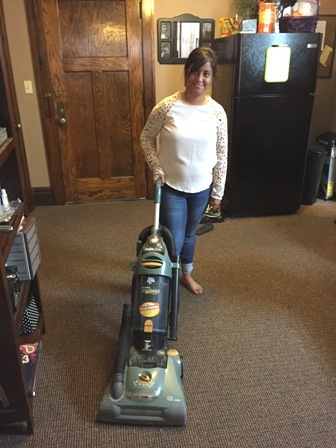 The vacuum is furnished with each dorm unit to assist you in keeping your room looking fantastic. Having fun with your roommate. 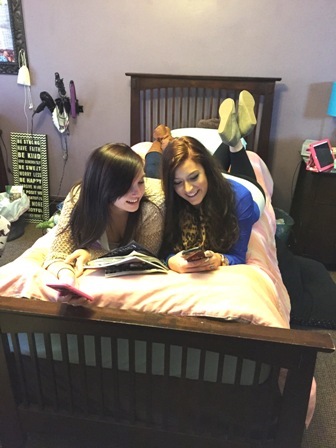 A dorm room is a great way to get that “full” college experience. Hanging with dorm friends is always a great way to top off your day. How much fun is that. “LaJames College” here in Mason City. It would not have been the same without them. our “Application” page or our “Home” page? However you contact us, we truly hope your experience is a great one. That is always our goal. 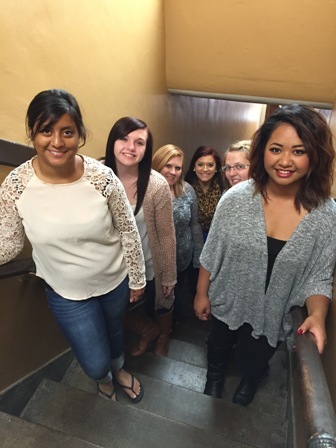 Thanks for visiting our Beauty School / College.